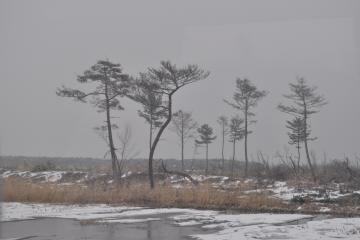 In collaboration with the Foreign Press Center-Japan and Kogakuin University, OISCA organized a whole-day site visit to OISCA`s Coastal Forest Restoration Project in Natori, Miyagi Prefecture on the 29th of February. 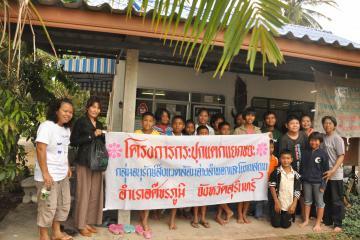 The tour was organized to seek the support of the foreign correspondents to further promote the Coastal Forest Restoration Project worldwide. 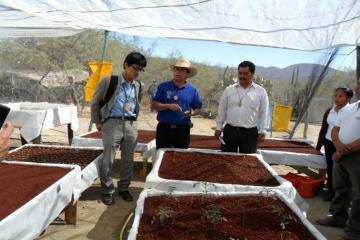 Mr. Daisuke Nakabayashi, First Secretary of the Japan Embassy in Mexico graced the community garden project spearheaded by OISCA Mexico using the simplified hydroponics technology in Colonia San Martin, Zapotitlan Salinas, State of Puebla. 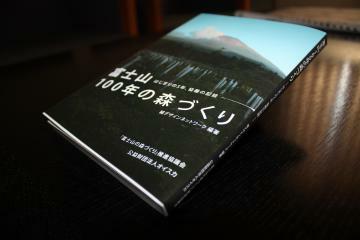 On the 20th of February, OISCA released and distributed the book titled “Fuji San no 100 Nen no Mori Zukuri, Hajimari no 5 nen, Kyodo no Kiroku (Mount Fuji`s 100 Years of Restoration, The Initial 5 Years of Cooperation: A Documentary) to the people who are primarily involved in Mount Fuji Reforestation Project.